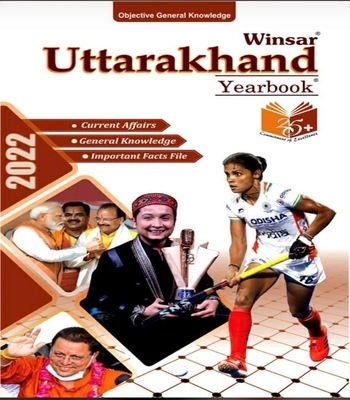 Uttarakhand Yearbook is a reliable work of reference which gives accurate and comprehensive information on the state of Uttarakhand in the wider context of India. The 2018 edition is fully updated and is packed will all the necessary information on the state. There are write-ups providing historical, political, social and administrative overviews, and sections on the eminent personalities of Uttarakhand, recent newsmakers, politics, economy, culture, science, sports, current affairs and general knowledge. The updated maps complement the textual information. 'Kumaun ka Itihas Khas (Kasite) Jati ke Paripreksha Mein' was first published some forty years back in the year 1977. The Author of the book late Shri Yamunadutt Vaishnav 'Ashok' took great pain in researching the pre-history of the people of Kumaun & assiduously tried to establish that the Khas race who once ruled Kumaun were migrated from West Asia as early as first millennium B.C. The book covers the history of Kumaun & its people from early Vedic period to the advent of the British Raj. 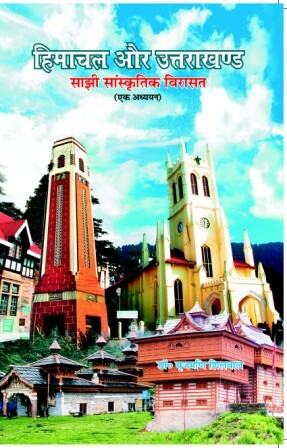 As the book carries vital information about Kumaun & was in great demand, the second edition was published in the year 2015, looking into the persistent demand, this third edition is now before the readers. 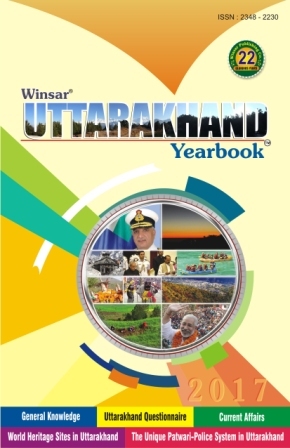 Uttarakhand Yearbook is a reliable work of reference which gives accurate and comprehensive information on the state of Uttarakhand in the wider context of India. The 2017 edition is fully updated and is packed will all the necessary information on the state. 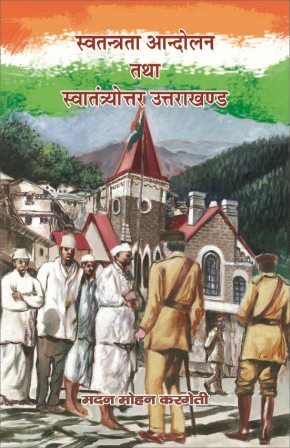 There are write-ups providing historical, political, social and administrative overviews, and sections on the eminent personalities of Uttarakhand, recent newsmakers, politics, economy, culture, science, sports, current affairs and general knowledge. The updated maps complement the textual information. It is the need of the hour to find out means of conservation of environment, culture, language, tourism and public issues and also finding out means for their enrichment. The publication of the Himalayan Review Journal has been started with these things in mind. This bi yearly publication which is published in Hindi and English welcomes research based articles on various issues related to the Himalayas. The present book deals with the common and inter-related themes of Nature, Culture and Biodiversity. One may rightly conjecture that all these three terms are inter-related. While nature is inclusive of the biodiversity, and culture an offshoot of the nature; Nature per se in the present text, primarily relates to the natural resources, while biodiversity has been defined not just in terms of the flora or fauna, or agro-biodiversity, but more importantly on the factors that impinges upon the sustainability of these bio-resources. Lastly, culture deals with the individuality of the cultural roots of the inhabitants- the festivals, the dress, the food, the languages/dialects spoken, the traditional lifestyle as well as the factors that dilutes the cultural fabric. . The word Ganga is close to the heart of any Hindu. The Indian philosophy gives utmost place to Himalaya and the Ganga river that flows from it. The Indian culture cannot be imagined without river Ganga and all the scriptures from Puranas to the modern books mention the all cleansing Ganga river. Innumerable devotees from India and abroad take part in the ritual bathing during the Kumbh mela on the banks of Ganga river at Haridwar. Crores of people from 100 countries of the world took a dip at the Holi Ganga during the 2010 Kumbh proving that the Ganga is the heritage of not only India but the whole world. 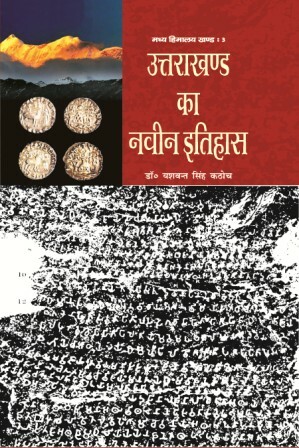 The Vishwa Dharohar Ganga book describes the state of Ganga from its mythological origins till the present. 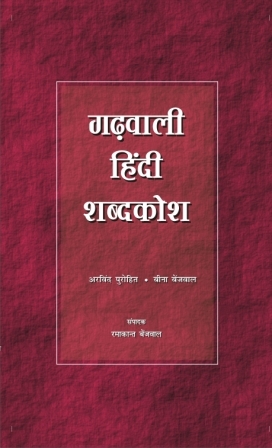 Many worthy efforts have been made in the past years to bring a Garhwali- Kumaoni dictionary. 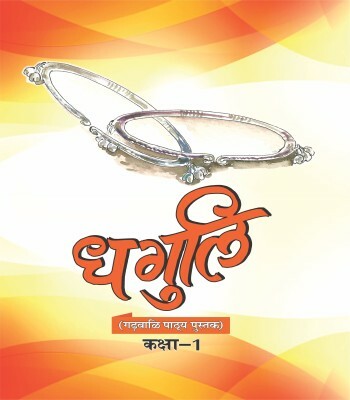 Taking this series forward, Mrs Bharti Pandey has created the Hindi-Kumaoni- Jaunsari dictionary. This would be useful for students, teachers, researchers and reference persons. This dictionary has not taken any words as a parameter and presented all entries separately. 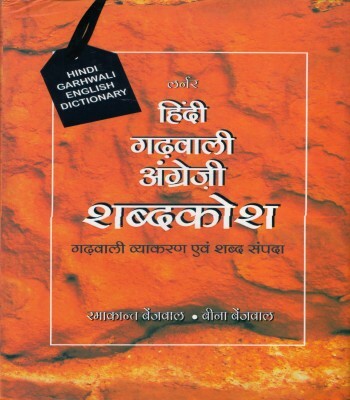 This dictionary would not only help the students and language scientists but also those people who are desirous of learning Garhwali. This dictionary is beneficial in bringing back memories of forgotten words, local usage and diversity. 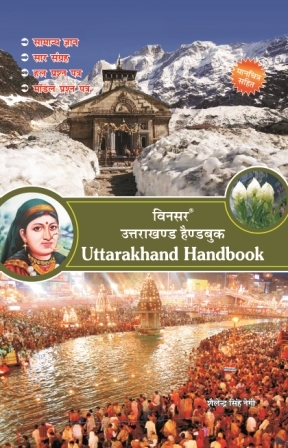 This book provides information about the pilgrimage and tourism places in Uttarakhand and can also be used as a souvenir as it enriches us about the festivals, fairs, traditions, handicrafts and cuisines of Uttarakhand. 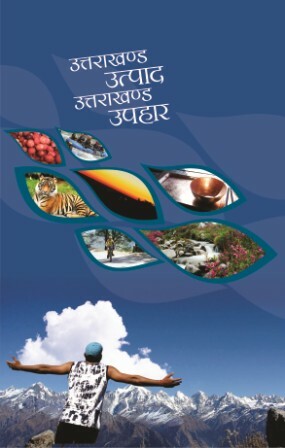 This souvenir book that includes coloured photos can also be used as Uttarakhand tourism guide book. This book has been prepared keeping in mind the needs of the students who are preparing for competitive examinations. The book includes General knowledge, gist, solved questions and model question papers. This book presents the changes in the geographic and economic scenario of the Himalayan states. This book will prove to be important for teachers, students and people interested in different subjects. 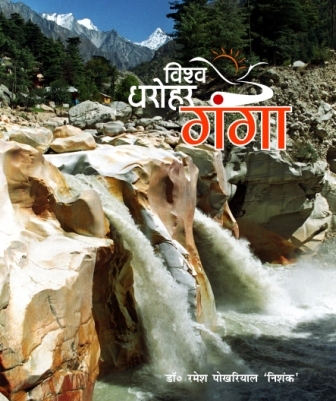 This book enriched with attractive coloured photos gives information about the various cities that fall on the pathway of the Ganga River from Haridwar to Gangotri. The book also gives information about the various rituals carried conducted there. 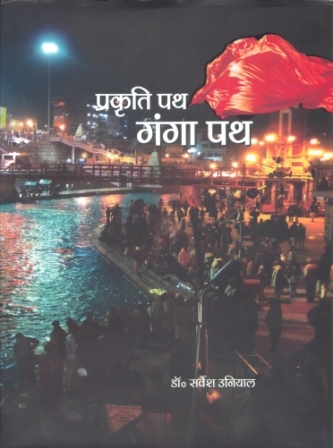 This book is highly beneficial to people having faith in the Ganga river. 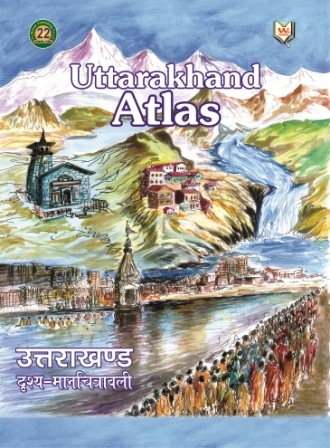 The Uttarakhand Atlas apprises children about their prideful past, culture, geography, water resources, forests, land, environment and historic heritages. The atlas includes photos and maps apart from subject matter. Apart from children, this Atlas would give an opportunity to the common people to have better understating of natural and economic resources of their state. Not only school children, but candidates appearing in competitive examinations would also be benefitted from this book. This book is an encyclopaedia for career guidance for the children living in rural background, youths and their parents. This book is also useful for the children and parents living in the urban areas who want to educate their children according to their intelligence. This is the main facet of this book. This book is also handy in developing understanding about employment, self employment and business matters. 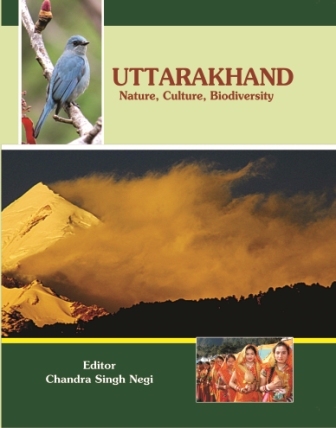 The Uttarakhand comperehensive Encyclopedia has been divided into 8 sections and 62 chapters. 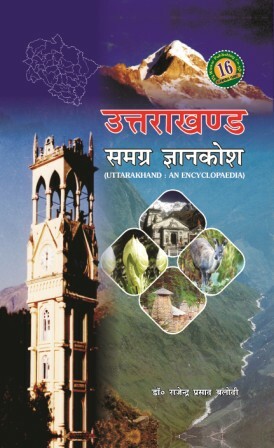 This encyclopedia contains details about the position of the state in mythology, past splendour, origin of name of Uttarakhand, geographic description, administrative set up and political structure, statehood movement, social scenario, casteism, traditions and tribes, temples, religious traditions and places of faith, culture and everyday life, traditional musical instruments, jewellery, cuisine, systems of treatment, folk arts, weigh systems, state symbols, art forms, pre historic archaeology, economy, Shauka- Huniya business, industries and trade, land management, hydro electricity and dams, cooperatives and animal husbandry, information technology, Chipko and Maiti movement, tourism and adventure tourism, past education, language and literature fund, valour traditions, mountaineering, development of journalism and works of the Garhwal Mandal Vikas Nigam and Kumaon Mandal Vikas Nigam. This encyclopedia is beneficial for candidates appearing in various competitive examinations. 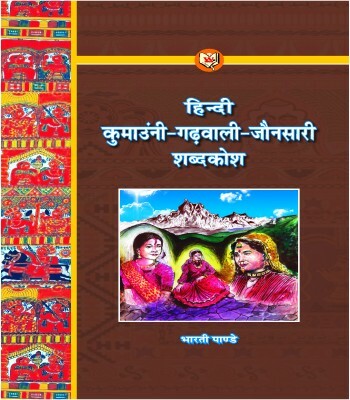 This book brings forth the vocabulary and terminology of Garhwali language which is derived from the beauty of nature as the various feelings, colours, sounds, smells, tastes, groups and manners. This also includes local proverbs and folk sayings. The main aim of this book is to make the readers aware of the rich heritage and the origin of the words, culture and development of the language steeped in the milieu of the region. The book also presents brief vocabulary and examples of sentences in daily language. The history of any human can be learnt only when the story is presented chronologically from the beginning. The main knowledge about the Indian culture and history is found in the Puranas after the Vedas. The moral values and life values of the ancient society developed on the basis of the Puranas. Due to this, it is very essential to have knowledge about the Puranas. Pauranik Uttarakhand or mythological Uttarakhand is based on this context only. 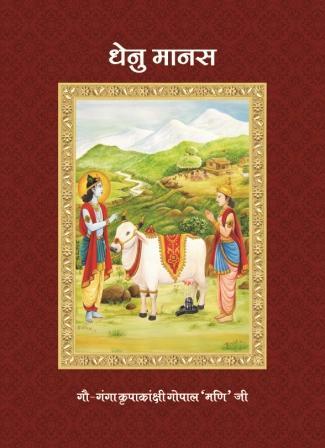 This Granth or scripture contains the gist of Cow glory in all Vedas, Upanishads, Ramayana, and Mahabharata in the form of couplets. This scripture is divided into five parts. The Dhenu Manas would usher welfare of the people and masses and establish the importance of Gau mata or cow. Due to its unique geographic position, Himayas have been a state unit since times immemorial. Himalays have their own history and culture. The Uttarakhad Himayas are important in history but their chronology could not emerge. This chronology is the fulcrum of political history and can make us understand the various cultural currents of a country. Therefore, the main purpose of writing the latest history of Uttarakhand is to ascertain the chronology of the central Himalayn districts. For this, we analyzed in detail the history of the Himalayas written down till date and assessed the facts. We have with latest facts tried to give a detailed chronology for the first time. Though brief, “Uttarakhand ka Naveen Itihas’ is comprehensive in itself. The facts and references given in this book are factual and are very beneficial for the students as well as the general readers. Late Professor Ranvir Singh Bisht who was born in the soil of the hills painted the various Shades of life on canvas to achieve national and international fame, which is an example in itself to emulate. This great painter who has been bestowed with Padmashree and other national and international awards of repute created many heart touching paintings which would always be an inspiration for generations to come. The book includes many articles, memoirs on the life and works of the great painter along with many famous paintings of late Bisht. Due to lack of factual information, many notions are created in the society about the tribes which tend to create a mysterious aspect about them. Needless to say many of these notions are based on myths. 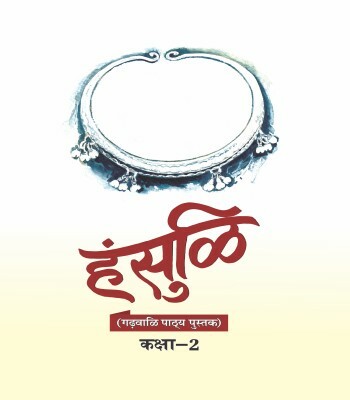 This book is an effort to break such myths and to provide authentic information about the Jaunsari society. The writer who is steeped in the Jaunsari society has made his experience and research as the basis of this book. Despite this, the writer feels that this is just a basic effort. 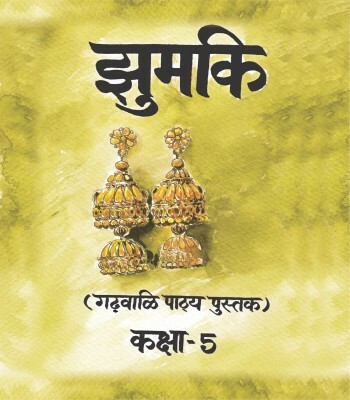 The book covers the traditions, rituals, religious beliefs, historical facts, and food, and costume, social and economic issues of Jaunsar Bawar. The facts presented in this book are beyond doubt as the author has been part of the events that have taken place in the society. This makes this book an authentic and factual treatise on the Jausari tribe. It would not be an exaggeration if proverbs would be called the soul of life. Every proverb has its genesis from the harsh life and intense experience. Due to this, every proverb contains a wealth of wisdom like an ocean in a drop. 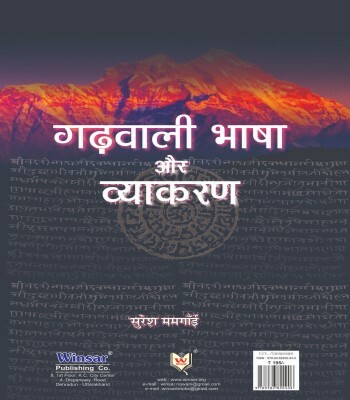 A vast store of proverbs is available in the Garhwali language which is quite difficult to compile. Every proverb in this vast storehouse is like a pearl on account of the wisdom it contains. This book has made an effort to pick out these priceless gems and can be labelled as a very successful attempt. This effort would also be called successful as in present day life as a vast portion of the Garhwali society has imbibed the city culture and almost turned away from its language and culture. Due to this, the danger has risen that these proverbs (Aana- Pakhano) might become extinct. As such this book is an effort by the author for giving a new lease of life to these proverbs and saving them from extinction. The Ramlila of Lansdowne has had a glorious history. This memorial book is a collector’s item due to completion of 111 years of the Ramlila. 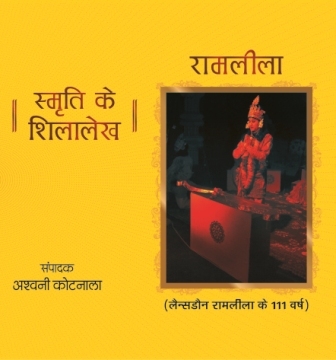 The articles written by various persons about this Ramilia are compiled in this book, which shed light on the history of Lansdowne’s Ramlila and the challenges in its staging. 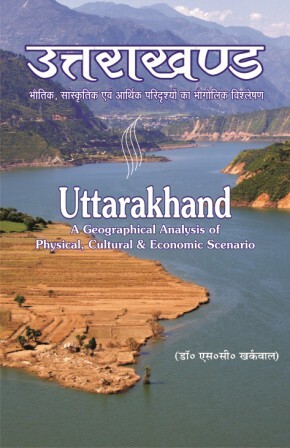 This book presents a researchful insight into Uttarakhand state’s economy, natural resources, tourism, social economy and cultural resources. It also investigates the various movements that originated in this region. Despite being two separate states, the states of Uttarakhand and Himachal Pradesh are similar in society, culture and religion. This book explores the mutual heritage and mutual problems of both the states. The five tribes of Uttarakhand are the proof of the cultural diversity of the state. Every branch of these tribes also depicts diversity. This book sheds light on the differences, specialities and the various facets of the lives of these tribes. Nanda Devi Rajjat, a unique pilgrimage in the Himalaya, which takes place after every 12 years, dates back to the 9th century. The Rajjat symbolizes the ceremonial procession of the Goddess Nanda as she is seen off from her parental village Nauti, in Chamoli district. Dr. Ramesh Pokhriyal ‘Nishank’, Chief Minister of Uttarakhand, who is also a well known writer, has written a fascinating account of Nanda Devi Rajjat which recreates its cultural ethos and spiritual aura. The book released by Aniruddha Jagannath, the President of Mauritius. In Uttrakhand, there are various musical dance forms such as Chancharhi, jhumela,Dankudhi, Thadya,Jvourh, Hathjorhi, Nyolya, Khel, Tulkhel, Bhavaini, Bhaveen, Rasoo Tandi, Chhopati, Harul, Nati and Jhevta. Chanchrhi is by far the most popular of these. 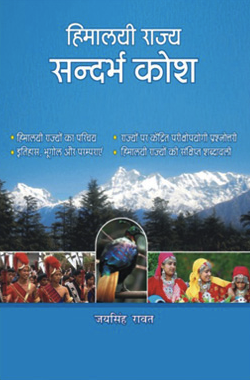 Chanchrhi Songs and Dances of Uttrakhand Himalaya by Nank Kishore Hatwal is a book which deals with the different elements of Chancharhi dance and songs. It is divided in two parts. Part one is Introductory and Part two contains songs, which are further organized in accordance with different styles. 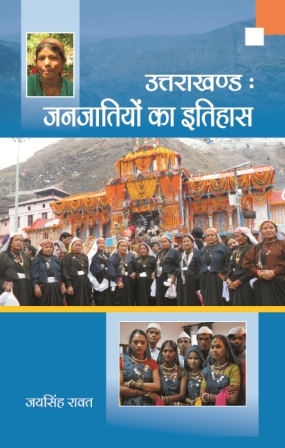 It is an exhaustive volume which presents the rich folk culture of Uttarakhand. Founders of the historical geography of India, Prof. Lassen, Prof. Sylvan Levy and M.D. St. Martin were these Indian Scholars who were first to discuss this subject in detail in European language. Later on some Foreign and Indian scholars like M. Julian, A. Cunningham, E. Partizer, A. Smith, Nandlal De, B.C. Laha etc. presented important thesis in this area. But, inspire of being basic, these works were in foreign language and on the other hand such works had already been presented. Since then, new excavations and constant researches by several scholars have sufficiently enriched the knowledge of ancient and medieval land-geography. Today, when Hindi has become national language of the country and is being studied in several universities of the world, there was an urgent need of a dictionary of historical places covering latest researches. Who has none, the world belongs to him. She made it the only mantra of her life and continued to live for others. She sacrificed everything and became ‘mai’ for one and all. She made bridges and opened schools. She not only struggled for water also shared knowledge and love among people. What a wonderful character she bore. She never tolerated injustice and missed no opportunity to protest it. She accomplished her greatest campaign after arising Pauri when shop of the tinchery seller was burnt to ashes. Mai gathered a team of Mesmore College students and the shop was turned into ashes. She sacrificed her life for welfare of others. Her religion, her aim and her dedication was to live for others. During her whole life, she was respectable for all and became immortal after death. If human is the most beautiful creation in the movable world of the nature, then so is Himalaya in immovable. It is an undisputed fact. The present book encompasses the depiction of these beautiful terrains of Himalayas which remain covered with ice during 6 months of the year and full of flowers and soft plants in remaining 6 months due to being located between tree limit and snow line. In the local dialect, these are called bugyal, merg, phultia van. The world famous Himalayan valleys of flowers are located in between these pieces of land. This description belongs to the Kedarkhand terrain of Himalaya which is described as Devatma, Devbhoomi and Devalaya in the ancient Sanskrit literature and Holy Scriptures. In the book, there is an endeavour to ratify the above statement by presenting a glimpse of the physical beauty along with godly and spiritual esteem of this piece of land. We are causing irreparable loss to Himalaya by utilising it for money mainly through tourism and partly through pilgrimage. By polluting the only source of pure water and air, we are taking ourselves towards self-destruction. Therefore it is also an endeavour to create awareness among our countrymen regarding this burning issue. 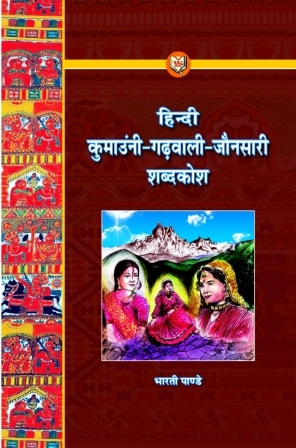 This book provides a broad view of three main folk language of Uttarakhand i.e. Garhwali, Kumaoni and Jaunsari. The origin, development, vocabulary and sources, grammar, syntax, morphological and phonological tendencies and the characteristics of these languages have been elaborately analyzed. 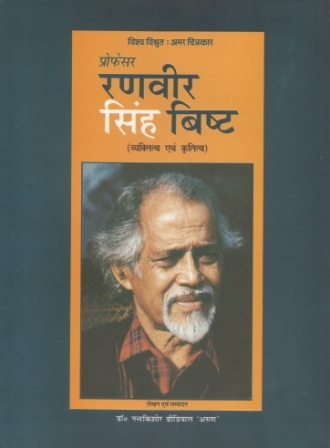 The author holds the view that whereas Garhwali and Kumaoni have adequate and rich literary traditions of repute, Jaunsari has no such achievement to its credit. The literary status of Jaunsari is mainly restricted to oral folk songs. There is hardly any published literature so far. The grammar, syntax and phonological tendencies and a large number of words are same as those of Garhwali. Therefore, many scholars have included Jaunsari as one of the dialects of Garhwali. Other salient aspects of these languages such as, similarities and dissimilarities; shrinking and vanishing tendencies of some dialects; standardisation; suitability of Devanagari script and the burning issue of inclusion of these languages in the eighth schedule of Indian constitution have also been reasoned in detail. Uttarakhand has been the land of famous Journalists. The book sheds light on the glorious past of journalism in Uttarakhand as well as the contribution of the journalists in the Freedom movement. The book also brings many unknown facts to light for the first time. After the Kedarnath tragedy, many questions related to the environment have assumed utmost significance. 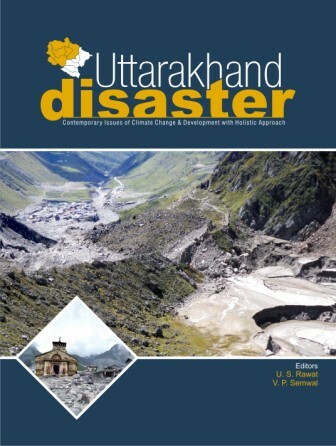 This research based book examines in depth whether the factors leading to Kedarnath tragedy were manmade or natural and also delves upon the ways of avoiding such tragedies in the future. Wars are being fought in the world since the establishment of the ruling systems. Wars are a part of politics. At times wars are fought for various reasons and there are also times when the wars are unnecessary. If technology and strategy are used in wars, then the unnecessary loss of lives and materials can be limited. Around 200 years ago, Von Clausewitz wrote a treatise on war titled Vom Kriege which is still relevant despite various scientific and technical advancements in this field. 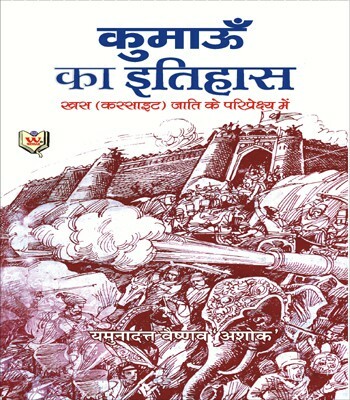 This book which has been translated into many languages of the world has been translated into Hindi for the first time by former Army officer Lieutenant General Hira Ballabh Kala. In this book , Von Clausewitz has propounded many principles of war that have benefitted many nations. Those nations that have neglected these principles have been totally destroyed. Military officers, students of military sciences, teachers and those interested in various subjects must study this treatise on war for imbibing knowledge. Section 1. Physical Scenario, containing Six Chapters - Geological Structure, Earthquake & Volcanic Process, Physical Setting, Drainage System and Glaciers, Climate, Nature, Vegetation, Soils. Section 2. Cultural Scenario, Containing Five chapters - Population Distribution and Density, Population Structure, Rural Settlements, Urbanization, Transport and Communication. Section 3. Economic Scenario, Containing Five Chapters - Land Use, Forest Economy, Agriculture, Horticulture, Industrial Development. Since very beginning, during the tenure of a research student at BHU, Prof. Kharkwal is contributing Valuable researches on various aspects of Uttarakhand Himalaya personally as well as through dozens of research students. Earlier publication of the author , besides a number of research papers, are ; 1. Cultural Geography 2. Land and Habitat 3. Physico Cultural Environment and development in UP Himalaya 4. Regional Geography of Himalaya.